Cookville Dentist Dr. Sikes is Accepting New Patients! Isn’t your smile worth a 10-minute drive? Of course, it is. So, head over to the Mt. Pleasant office of Dr. Robert Sikes. 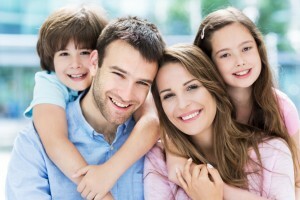 He’s the Cookville dentist that offers a comprehensive menu of dental services so everyone in your family will find what they need to have smiles that are healthy and attractive. Read on to learn more about Dr. Sikes, his practice and the procedures he offers. Dr. Sikes hails from Mt. Pleasant and after 33 years of practicing dentistry in Dallas (and a sabbatical with the Peace Corps in Macedonia), he jumped at the opportunity to return to his hometown. Now, your dentist in Cookville offers his years of experience and expertise in the areas of preventive, restorative and cosmetic dentistry to patients young and old. Whether you or a family member is coming to our office for a dental checkup or extensive care to repair or even replace teeth, you can count on Dr. Sikes and his staff to provide exceptional care with the latest dental technology and techniques. Your dental and oral health care begins with a thorough dental checkup, including teeth cleaning and an examination of your teeth and gums. Scheduled every six months, these visits give Dr. Sikes and his staff the opportunity to only brighten your smile with a cleaning that removes surface stains, plaque and bits of tartar, but also a time to monitor and consider any changes in your oral health. We closely examine each tooth, looking for signs of decay or cracking. Similarly, we evaluate the condition of your gum tissue in order to spot the early warning signs of gum disease. To enhance the appearance of your pearly whites, we offer cosmetic dentistry. Treatments such as teeth whitening to brighten your natural smile or porcelain veneers that create an entirely new smile are available. Stop searching for a dentist near Cookville! He’s right here in Mt. Pleasant. Call our office today to schedule an appointment with Dr. Sikes. Comments Off on Cookville Dentist Dr. Sikes is Accepting New Patients!